Ragland Law Firm, LLP Will Sponsor and Participate in the MADD Georgia 2008 “Walk Like MADD” 5k Walk at The Atlanta Zoo. Ragland Law Firm, LLP, a law firm focused on serious injury and wrongful death litigation, announces that it has agreed to be a corporate sponsor for MADD Georgia’s 2008 “Walk Like MADD” 5k walk to be held at the Atlanta Zoo on September 20, 2008. The mission of Mothers Against Drunk Driving (MADD) is “To stop drunk driving, support the victims of this violent crime, and prevent underage drinking.” Ragland Law Firm, LLP agrees that drunk driving is a violent crime which results in the needless death of and serious injuries to thousands of people every year. Accordingly, the law firm strongly supports the mission of MADD and has, for several years, supported the Georgia Chapter of MADD with significant financial contributions. This year, Ragland Law Firm, LLP has agreed to be a corporate sponsor of the 2008 “Walk Like MADD” event by contributing $5,000. Ragland Law Firm, LLP has also formed a “Walk Like MADD” walk team with the goal of raising an additional $5,000 in contributions from other lawyers and law firms. Additional information about the September 20, 2008 “Walk Like MADD” campaign and about the Ragland Law Firm, LLP walk team can be found at www.walklikemadd.com or by calling the firm at (770) 407-7300. Last year, Ragland Law Firm, LLP also sponsored MADD’s 3rd Annual “Strides for Change” walk held on September 13, 2007 at Atlanta’s Centennial Olympic Park. The law firm had a walk team which raised nearly $6,000. In fact, in 2007, Ragland Law Firm, LLP was given an award for being the “Top Corporate Team” for its fundraising achievements for MADD in connection with the 3rd Annual “Strides for Change” 5k walk. 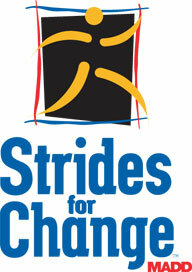 Ragland Law Firm, LLP was also a corporate sponsor of the 2nd annual “Strides for Change” campaign in 2006. Ragland Law Firm, LLP Will Host the Quarterly Meeting of the MADD Georgia State Advisory Council. Daniel Ragland, an attorney with Ragland Law Firm, LLP, has been a member of the State Advisory Council since 2002. He serves on the Victim Services Committee. Previously, Mr. Ragland served as Legal Advisor to MADD Georgia and was a member of its Board of Directors during 1991-1998. In lieu of a Board of Directors, MADD Georgia is now overseen by its State Advisory Council. 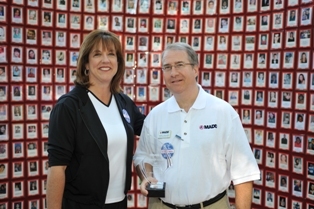 Mr. Ragland has been an active member of MADD since 1990. Daniel Ragland is a civil trial attorney whose legal practice in Atlanta focuses upon severe injury and wrongful death litigation. Mr. Ragland has many years of experience representing victims of drunk driving. He is considered one of Georgia’s leading legal experts in the area of dramshop liability and the pursuit of civil claims against DUI offenders. He has handled many personal injury and wrongful death lawsuits against drunk drivers, as well as bars, night clubs, restaurants and other businesses which negligently or illegally sold alcohol to an intoxicated adult or underaged motorist. Personal injury lawyer Daniel Ragland has represented drunk driving victims in Atlanta and throughout all parts of Georgia for nearly 20 years. Ragland Law Firm, LLP is now a Sponsor and Sustaining Member of the Brain Injury Association of Georgia. Ragland Law Firm, LLP announces that it has made a significant financial contribution to the Brain Injury Association of Georgia. With this contribution, Ragland Law Firm, LLP has now become a “Sustaining Member” of the Brain Injury Association of Georgia (BIAG). The BIAG is comprised of survivors, family members, friends, and professionals who understand that a brain injury impacts not only the survivor, but his or her family members and caregivers as well. It is the mission of the BIAG “to improve the quality of life for people with brain injury and their family and friends.” BIAG is the Georgia State affiliate of the Brain Injury Association of America. Trial attorneys at Ragland Law Firm, LLP have handled numerous personal injury lawsuits in Georgia, Florida, and other states on behalf of persons who have sustained traumatic brain injury. These cases present particular challenges in terms of educating judges and juries about the profound effects a brain injury has upon the survivor and his or her family. Attorneys at Ragland Law Firm, LLP Will Serve as Coaches for High School Mock Trial Teams in Gwinnett County, Georgia. The Georgia Mock Trial Competition helps high school students gain an understanding of the legal system by providing opportunities for teams of high school students to compete in “mock trials” where the participating students assume the roles of lawyers and witnesses in a hypothetical court case. The Georgia Mock Trial Competition is sponsored and conducted by the Young Lawyers Division (YLD) of the State Bar of Georgia. Daniel A. Ragland will again serve as one of the volunteer attorney coaches for the Mock Trial team from the Wesleyan School located in Norcross, Gwinnett County, Georgia. Mr. Ragland also coached the Wesleyan School Mock Trial Team in 2004 and 2005. Each of these teams will compete at the Regional Competition to be held on February 22-23, 2008 at the Gwinnett County Courthouse in Lawrenceville, GA. This year, the Georgia Mock Trial Competition will concern a criminal case about a high school senior who allegedly sold drugs to an undercover police officer. The fictional defendant claims entrapment as his primary defense. The Georgia Mock Trial Competition is designed to help participating students improve their proficiency in such basic skills as listening, speaking, reading, and reasoning. Mock trials help students gain a basic understanding of the legal process through which our society chooses to resolve many of its disputes. And, while obtaining this knowledge, high school students develop useful questioning, critical thinking, and oral advocacy skills, as well as significant insight into the area of law in question.